Bristol airport has a choice of five quality hotels. By pre-booking through HolidayExtras.com® you'll never have to pay a premium price, with savings of up to 40 per cent available off the full price. We also offer a Best Price Guarantee on all of our Bristol airport hotels, so that you can make a reservation with satisfaction and peace of mind. Because its the simplest way to make savings. Pre-booking will always get you the best price on a hotel at Bristol airport. The more rooms that have been filled, the more expensive the price will be, so avoid disappointment by booking early. Which cheap hotels at Bristol airport are available? With HolidayExtras.com, youre guaranteed to get the best deal on Bristol airport hotels. 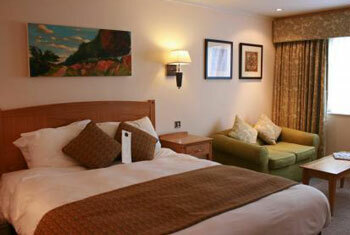 Our range of hotels allows you to take advantage of great prices, whatever your budget. If youre simply looking for a restful night before your journey, you can't go wrong with the 2-star Town and Country Lodge or the 3-star Winford Manor hotel. Both offer quality and comfort at an affordable price, and are just a short transfer from the airport. Our three 4-star hotels will see you start your holiday in exceptional style. The Plush Hotel offers boutique rooms, four-poster beds, an impressive swimming pool and a delightful setting. What better way to ensure your holiday starts early than with a little indulgence? Alternatively, you could try the Doubletree by Hilton - offering all that you would expect from one of the worlds leading hotel chains. A beautiful building in a picturesque setting, cosy rooms and a modern swimming pool and jacuzzi are just a few of the delights that await. The Redwood Hotel and Country Club, meanwhile, is a traditionally-styled building with comfortable rooms that offer the very best in quality airport accommodation. 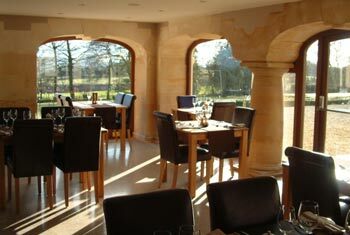 Why not enjoy a delicious evening meal in the popular restaurant before your trip?